Michigan drowning injury lawyers frequently represent clients who have suffered drowning deaths and injuries. A detailed knowledge and understanding of these type of deaths and injuries is essential to achieving the best possible settlement for the drowning victim and his or her family. Many of these cases are wrongful death cases. Drowning deaths and injuries frequently occur due to the negligence of others. Depending on the circumstances, the drowning victim and his or her family may have legal rights to be compensated, including money damages for pain and suffering, disability, medical bills, and lost wages. 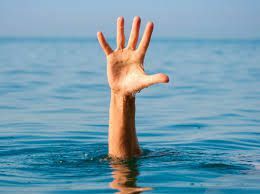 Drowning is death by suffocation that occurs within the first 24 hours after being submerged in water. Near drowning is survival or temporary survival that lasts longer than the 24-hour period after submersion. Most drownings occur within a short distance of safety and can be prevented. Drowning claims nearly 8,000 lives annually. It is the fourth leading cause of accidental death in the United States. For children, it is the second leading cause of accidental death for school-age children and the number one cause for preschoolers. Near drowning can lead to permanent brain injuries and lifetime emotional problems. Witnesses to a drowning accident also may experience significant psychological problems. Many times, a drowning may be caused by the negligence of others, including unsupervised swimming, boating accidents, negligent design and maintenance of a swimming pool, and reckless behavior. It is essential to hire a Michigan drowning injury lawyer who has a complete understanding of these cases in order to achieve the best result for the client. To learn more about the laws in Michigan personal injury accidents, you should request our FREE BOOK, "The Ultimate Guide To Injury Cases in Michigan" which includes The "Biggest Mistakes That Can Ruin Your Injury Case". We will send it out to you immediately. We will represent you in your Michigan personal injury case under our No Fee Promise. This means that you will not be charged any legal fees whatsoever unless we obtain a settlement or recovery for you. You have absolutely no obligation for legal fees unless we win your case.If we do not obtain a settlement for you, you owe us nothing! For more information on your rights after a Michigan drowning accident, call us now at (800) 606-1717 to speak with one of our experienced Michigan drowning injury lawyers about your case. Our office will start working on your case immediately and begin gathering witness statements and evidence to prove and win your case.